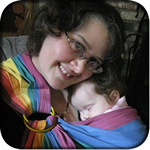 If your babywearing days are over but your wrap has the sentimental value of years of keeping your baby close, keep using it as a scarf! Send me your wrap and I'll carefully cut and hem it in the style of your choosing: a long, narrow scarf (at least 55" long and half the wrap width), long and wide scarf (minimum 55" length and full wrap width), or cowl-style (minimum 30" length, can be either full wrap width or half, though I recommend full width). 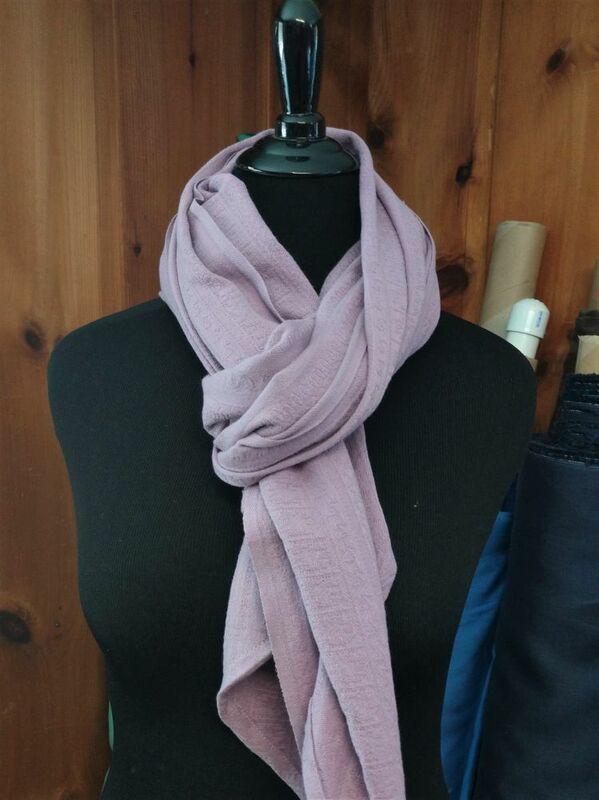 If you've got some extra length, you may also want to consider a snap on pouch, which can be used as a wristlet or attached to the handle of a tote bag for organization. 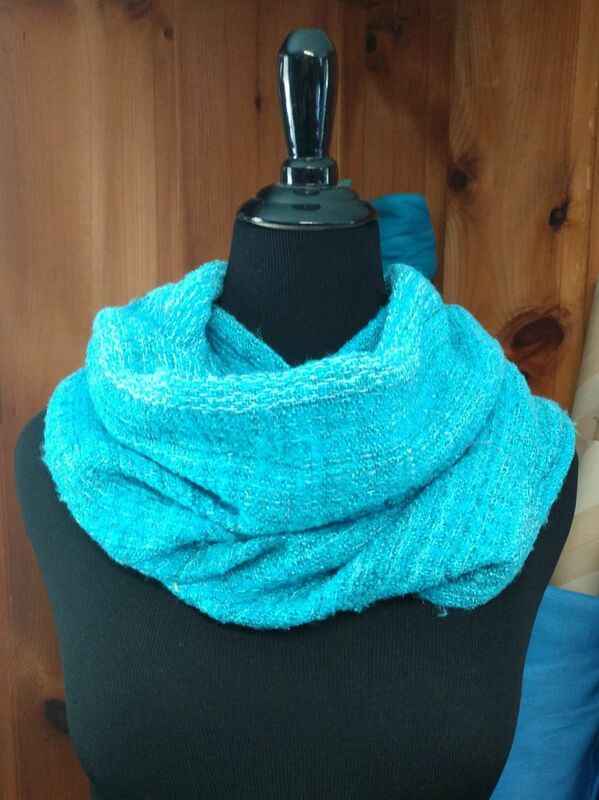 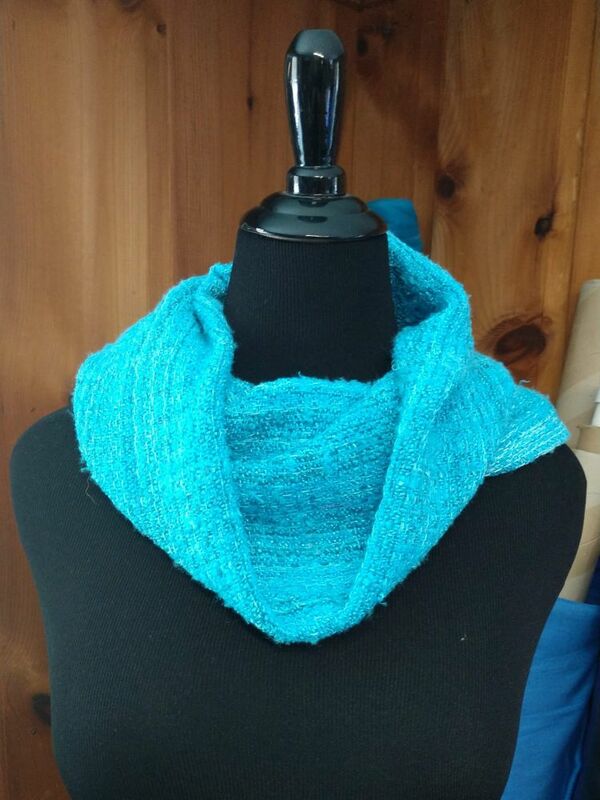 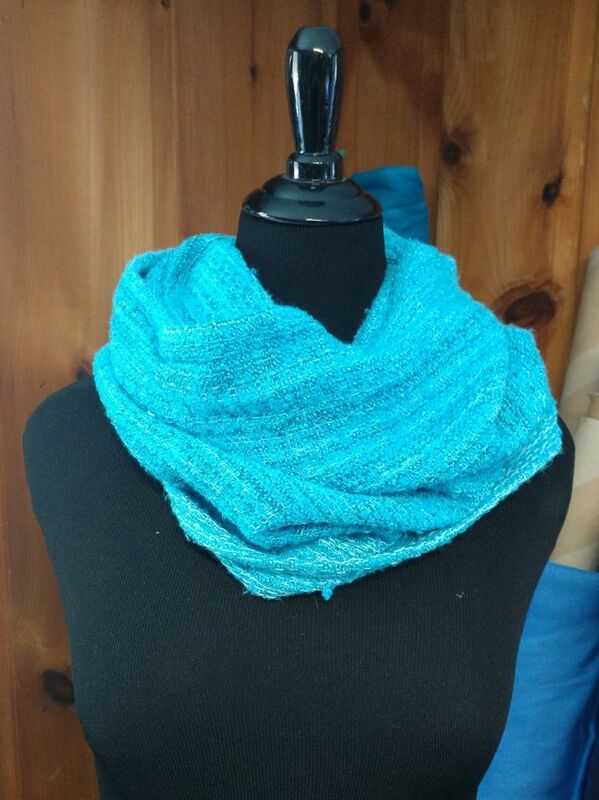 Photos below show first a full wrap-width cowl, which is wonderful for hand-woven and machine-woven wraps alike. 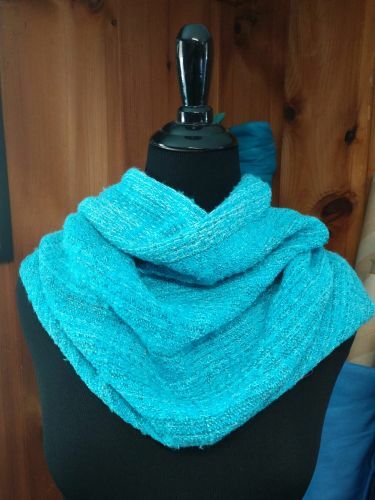 (The example wrap is a banana silk blend from Ethos.) 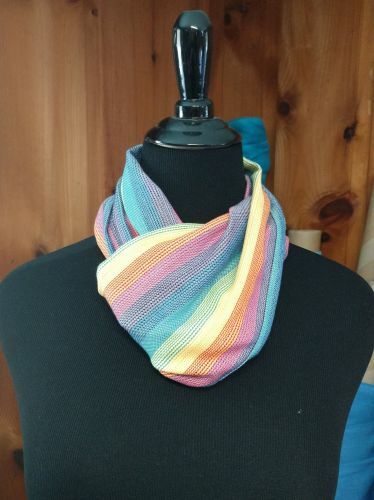 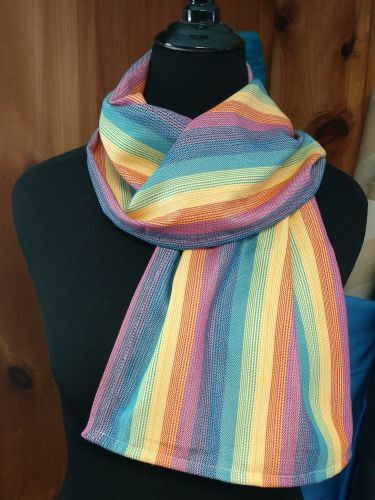 The rainbow scarf is a half wrap width, narrow scarf; this one is the minimum length of 55". For a longer version, please see the photos of the Tekhni Bios in-stock scarves. 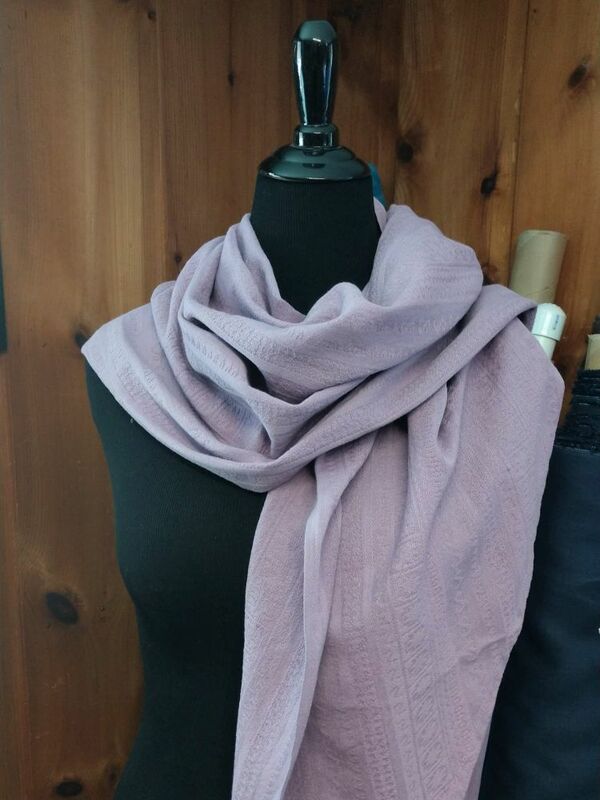 The third in lavender is a full wrap width scarf, about 75" long, made from an Ellevill Zara wrap. 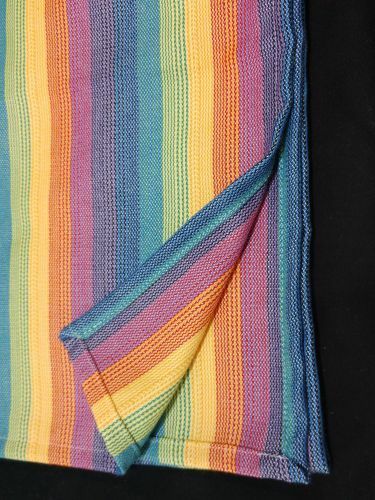 It has a very deep. 27" taper, which lends itself well to a wide scarf, allowing you to spread the central part out while leaving more delicate ends, or you can easily tie the ends to make a faux infinity scarf. 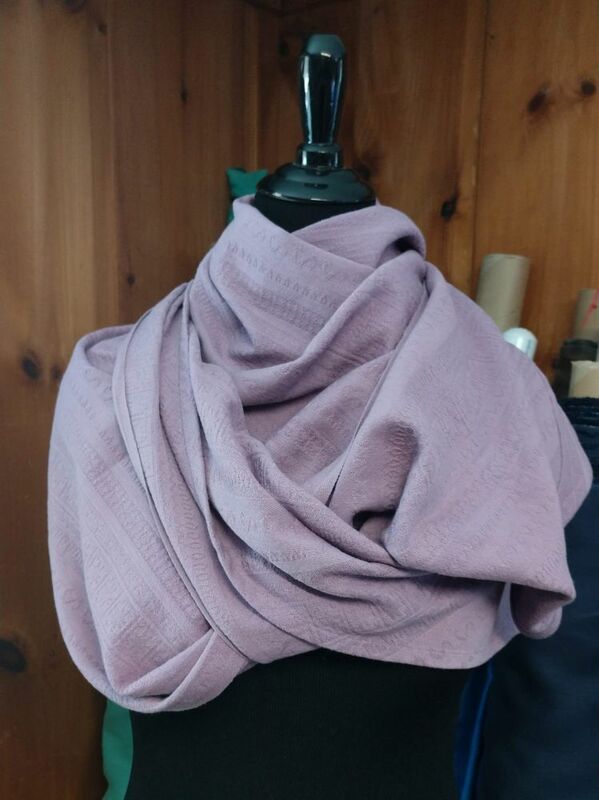 If your original wrap has a taper, I can either cut the ends straight or match the existing taper, your choice. Desired scarf length How long would you like the scarf or cowl? I recommend at least 55" for a straight scarf, and a cowl should be a minimum of 30" circumference.